It appears we had a trend change of longer trends as the 3.5 year (Kitchin) cycle turns down along with some shorter but intermediate length cycles turn down. 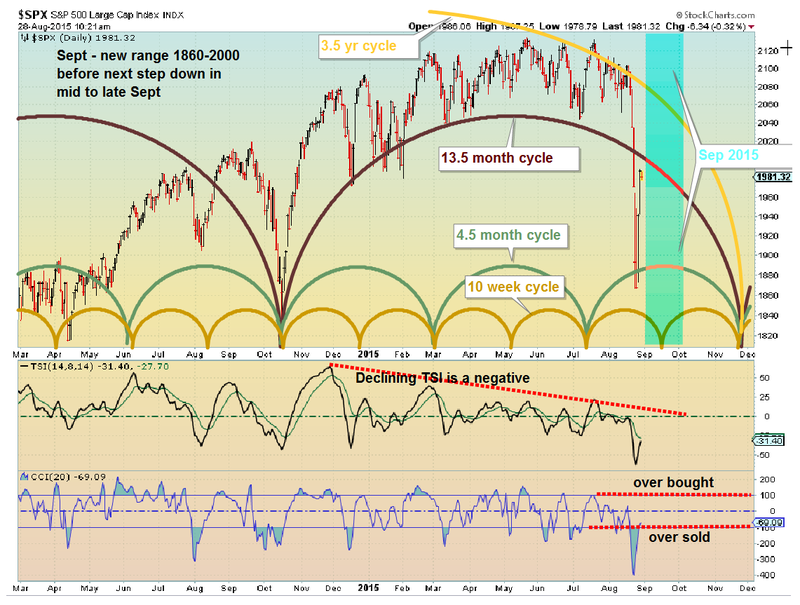 Expect the averages to stair step down over the next 5 months (or longer) as these cycles play out to the downside. Of course this will take time as after each move down the market pauses and goes sideways as it digests each down move of size (say 5-10% or so). 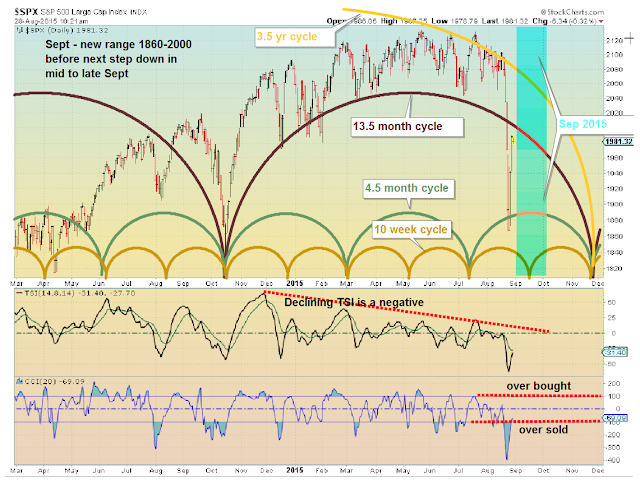 Expect the SP500 to trade in the 1860-2000 range the first half of September and then move down the second half of September.